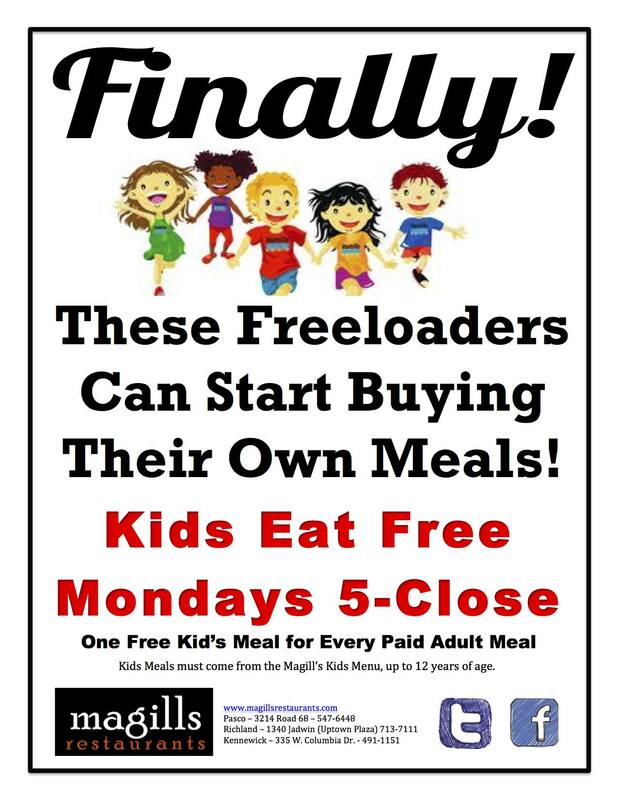 It’s Kids Eat Free Monday at Magills! This entry was posted in Family, Specials and tagged dinner, family night out, kids eat free, monday night dinner special, special. Tuesday Night Seniors Recieve 25% Discount!